Ginger moved to Molar Towne® when she was a young molar. In her early years, she was not made aware of the importance of good dental health, and often did not brush or floss on a regular basis. Before long, her poor dental hygiene habits caught up with her, and she began to experience red, swollen gums and bad breath. Some of the kids started making fun of her by calling her Ginger Vitis®. 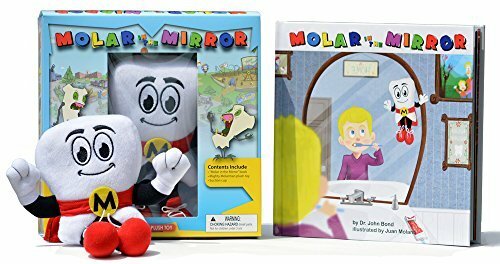 Luckily for Ginger, she met Mighty Molar Man®, the Super Hero of Smiles, just in time! With the support of the Molar Towne® Dental team, he helped her return to taking great care of her molars, and they had her smile in tip-top shape in no time. Ginger felt like a superstar with her mouth full of sparkling white molars! With all of her new-found confidence, she was able to compete in the Miss Molar Beauty Pageant, and was crowned Miss Molar USA! Nowadays, Ginger has settled down with a family of her own. She is married to a brave Molar Patroller and has two sweet, little molars named, Bracey and Princess PreMolar. The family wouldn’t be complete without their playful pup, named Canine. When she isn't chasing after the kids, Ginger can be found shopping at Molar Mall or getting pampered at Molar Manicure Salon. Ginger Vitis® has joined Mighty Molar Man's® good fight for dental health awareness. Her Mommy blog reaches out to other Moms to help educate their families about the importance of good dental health.